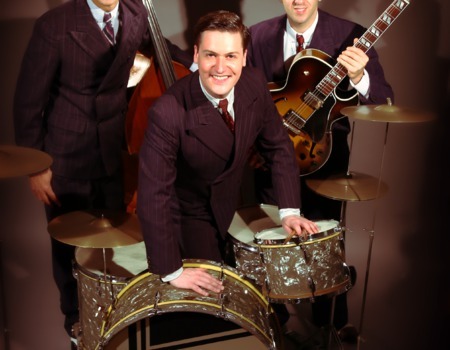 The Bevin Boys are one of Europe's premier swing bands, performing for many major dance and vintage events. With an authentic sound that is unmistakably 1940s, the band play a mix of period hits and lesser known gems from Slim Gaillard, Louis Jordan, Ray Ellington and much more! The band have swung the dance floor from the Royal Albert Hall to The Edinburgh Festival and are delighted to perform at Crazy Coqs on 20th November!